In these rules, “Promoter” means a person who directly or indirectly promotes, sponsors, organises or conducts the promotional competition, or for whose benefit the promotional competition is promoted, sponsored, organised or conducted, which includes Precision Performance. No director, member, partner, employee, agent of, or consultant to the Promoter or any other person who directly or indirectly controls or is controlled by the Promoter, their advertising agencies, or their spouses, life partners, parents, children, brothers, sisters, business partners or associates, may enter this promotional competition. This also applies to a person who is a supplier of goods or services in connection with this promotional competition. Should the law or any authority terminate this promotional competition, no notice of termination shall be required. In such event, all participants waive any rights and acknowledge that they shall have no claim, of any nature whatsoever against Precision Performance, its directors, agents or employees as a result of the termination. Further, Precision Performance reserves the right to vary, postpone, suspend or cancel the competition and any prizes which have not yet been drawn, or any aspect thereof, without notice at any time and for any reason whatsoever that Precision Performance deems is reasonable at the time. 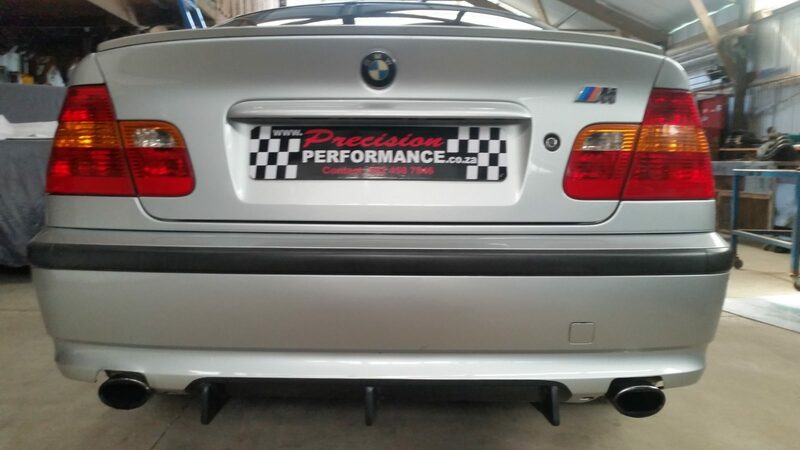 The competition is open to customers who successfully registered and purchase a sticker via the Precision Performance website: http://precisionperformance.co.za/win-car-give-away. The competition will run from the 7 of March 2018 and will end when all 1250 tickets have been sold, will be automatically entered into the competition. Only customers whose who have done the above will be entered into the competition . Prizes are not transferable, may not be deferred or exchangeable for cash or otherwise Form. The winners will be randomly drawn by a Random draw picker intergraded into the Precision Performance web page within 24hours after the last ticket sale has been placed! The winner will be announced on the Entry web page as well as Face Book and Instagram. The winner will be contacted telephonically or via email or his preferred method as stated on his or her entry on payfast. The winner’s name and/or photo will be published on the website. The winner will be given the opportunity to agree or not to agree to the publication of their image unless the competition is of such a nature that the winner’s picture must be published. The decision of the competition conductor as to the winner is final and there will be no correspondence. To the extent that a license (e.g. driver’s license) or permission (e.g. by a parent/guardian) is required in order to accept or use a prize, the winner must produce such license or permission for inspection by Precision Performance prior to receiving the prize. If the winner does not or is unable to do so, then a relative or such person will need to accept the prize on their behalf! Releases: By participating in this Promotion, entrants (and their parents/legal guardians if entrants are minors) agree (and agree to confirm in writing): (a) all causes of action arising out of or connected with this Promotion, or any prize awarded, shall be resolved individually, without resort to any form of class action; (b) to release, defend, indemnify and hold harmless Promotion Parties, from and against any liability, loss, claim or cause of action, including, but not limited to, injury, death or damages arising out of participation in this Promotion or the acceptance, possession, use or misuse of any prize received in this Promotion; and (c) to waive all rights to claim punitive, indirect, incidental and consequential damages, attorneys’ fees, court costs, or any damages other than actual out-of-pocket costs incurred to enter, and any and all rights to have damages multiplied or otherwise increased.